The Holidays are coming. Great Personalized Gifts. Customized Gifts. Affordable, too! Come see why MANY are in love with this! Get on our Weekly Order List NOW… They Fill FAST! Melt Oil in skillet, add in cut up brats/links. Brown. Add in Garlic and saute some. Add in Onions, saute more. Add in Oregano, Salt, and Pepper. Then, the Peppers. Cover and cook til soft. Remove cover and cook down juices. GOOD SHAKE of Creole Seasoning. Air fry on Fry Button. Try with your Brat N Pepper Mix. Tasty. Marinade 4-5 hours. 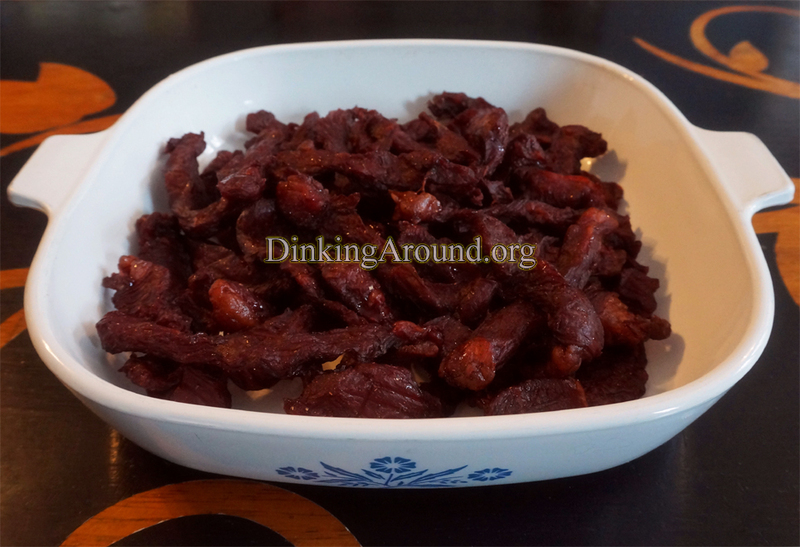 Dehydrate in dehydrator for 6-8 hours. I had to cut in half long way, because, the skinnier sides were done a lot sooner. Use scissors to cut to bite size for snacks. I store in fridge, just because. I do like Smoked Fish. Smoke at 200-225 for 2 hours with chips. 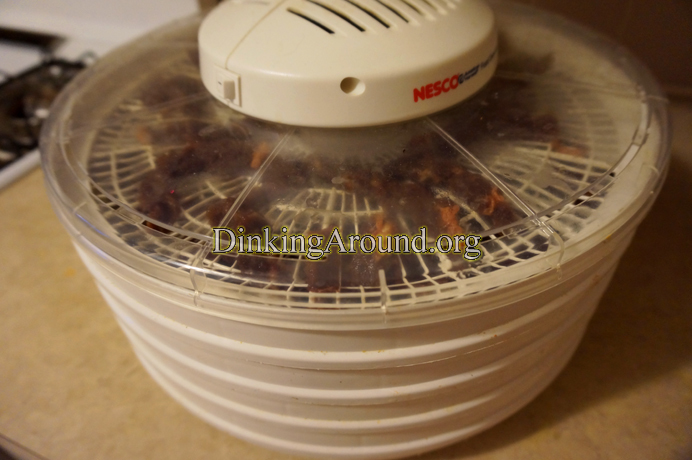 Add to dehydrator for 1-2 more hours for that more jerky texture for snacking. Premix Marinades. 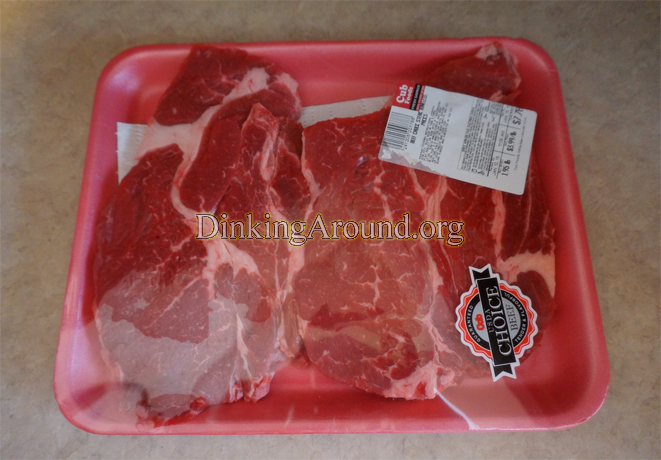 Brush Steaks with Marinade. Toss Shrimp with it’s Marinade. We smoked Steaks with Hickory Wood Chips, using our Oster Smoker/Roaster. (225-250 for 1 hour). Saute all, in butter or oil. Add in a lil Soy Sauce. Toss. Eat. (Water can be added to keep from burning, during cooking.). OPTIONS: You can cut up meat, top over Green Beans, dump Shrimp N Sauce over top. In small blender, blend all ingredients. Lay a thin-ish layer onto Parchment Paper. Cook in pizza oven a few minutes on each side, or til each is LIGHT golden. YOU WILL NEED TO KEEP CLOSE EYE ON IT (It burns quickly). Allow to cool and cut into squares. 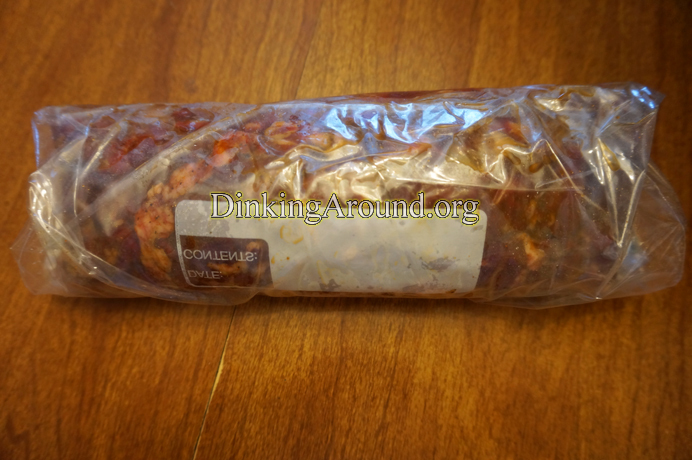 I put in the fridge in a bag with below, making Beef Jerky and Cheese Snack Mix. Tasty option: Season, well, the tops (When you first put on dehydrator) with Fresh Cracked Black Pepper. 2lbs of meat. I used this time around. Cut into strips about 1/4in thick. Sometimes, I make nuggets. Your choice. They say to cut off the fat. After long periods, it can go rancid. But, we eat this so fast there’s no need to worry about ever getting there. We also store ours in fridge. Try to find less fat, tho… It’s better to eat. 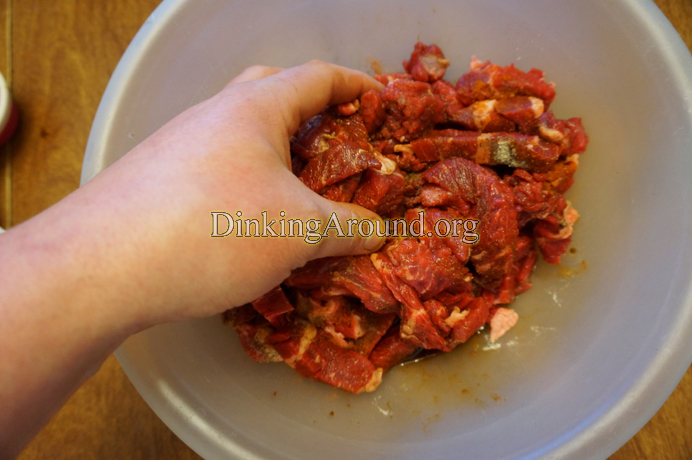 Add ingredients into a bowl with meat. Get your hands dirty and mix it well. Add to ziploc bag and make sure it’s pretty air tight. MARINADE 24hours. Flip and mix around bag around half way through. Dehydrate 4 hours. Keep in mind, it gets harder as it sits after dehydrating. Store in airtight container. We store ours in fridge, especially, these. As, they have the fat on. If you get the nice no fat kind, works fantastic in air tight container for a longer time. Top Pizzas with cut up Link, Tomatoes, Cheese. Season with Seasons. Cook in pizza oven til melted and crispy. Joseph’s Flaxseed Pitas are THE BEST! Especially, when they are fried in Skillet with Butter Spray and outsides are sprinkled with Garlic Powder. I use these for Chicken, Bacon, Ranch Wraps. They are AMAZING and lower carbs. Only 6g Net Carbs each! Premix Tzatziki and place in fridge. Remove Meat and cut up. Season Shredded Meat with Reserved Season. Add to foil and place back into Roaster, on grate, 30min-1hr. Top meat onto Josephs Pita. Butter Spray Skillet and outside Pita Shell, brown each side of Gyro. Sprinkle outer Shell with Garlic Powder. Top with Tomatoes, Feta, and Tzatziki. Eat! *Notes: 1 Beef Broth Cube, crushed, will work! Cook Bacon, leave grease in pan. Set Bacon aside. Add Rutabaga to pan. Cook til soft, adding in Onion. Near end, crumble Bacon, add in and season with Pepper and Salt. Optional to top with Cheese Slices. Marinade Shrimp. Saute in pan with Coconut Oil. Add in Tay’s Frozen Tomatoes. COOK DOWN juices (Cook uncovered helps). Once cooked down, stir in Parm. Cheese and Cream. Cook down some more. Bring Water and Pinch of Salt to boil. Add in Zucchini Noodles and Sweet Peppers. Boil for 1 Minute (Or, so). Drain well. Serve Shrimp Sauce over Noodles. *Notes: Can be served over Noodles, Vegis, Meats (Steak, Chicken), as Sauce for Lasagna… Endless Idears! Heat Oil. Cook Ham. Add in Vegis, cook. Mix Milk Mixture. Reserve 3T of Milk in separate dish, add 1.5-2T Coconut Flour to 3T Milk. Set aside. Once Vegis are cooked, add Milk Mixture and bring to boil. Add in Cheese, stir in. Stir in Coconut Flour/Milk Mixture (I used all but 2T, I threw rest.). Stir til thick. Season with Salt. Cook a few more minutes. Allow to cool to thicken. Serve over Chicken (Cooked in Broth), Zucchini Noodles, or eat alone. LOW CARB! This recipe stems from our Jamaican Chicken. 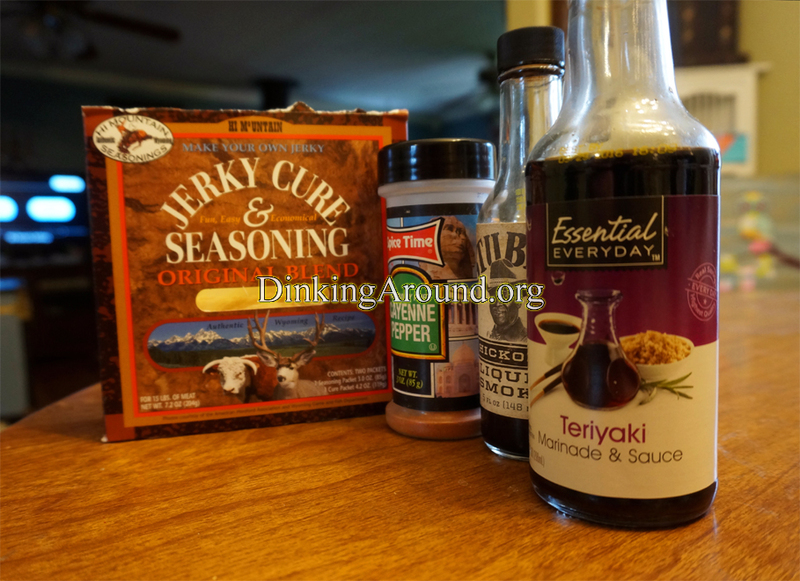 Mix Marinade ingredients. Brush onto Steak. Marinade 6 hours. Cut up Steak. Save 1 Bay Leaf (Add in with Vegis). Heat Coconut Oil in skillet. Add in Steak, cook some. Add in rest (INCLUDING ONE BAY LEAF). Cook, covered, til potatoes are soft. Remove Bay Leaf, eat. Slice Steak. Season. Set aside. Heat Oil in a Skillet. Add Steak. Add good few splashes of Soy Sauce. Add a splash of Lime Juice. Cook Steak. Add in Vegis. Cook down juices. Near end, add a nice splash of Soy Sauce and a splash of Lime Juice. Serve. Cheese: Shredd. Moz., Sprinkle Pepperjack, Sprinkle of Shedd. Cheddar, Sprinkle of Grated Parmesan Cheese (Store shelf kind). Heat Oil, add in Meatballs, brown. Add in Tomato Paste, heat it up. Add in Tomatoes (Juice and all!). COOK DOWN JUICES. Top entire dish with Moz. Cheese, then, a SPRINKLE of Pepperjack and Cheddar Cheese. Shake on some Parmesan. Heat til melted. Serve with side of Peppers. *IF KETO: Use Meatballs WITHOUT Breadcrumbs! Whisk, vigorously, Egg, Dijon, Oil. In separate dish, toss together Rinds, Flour, and Seasons (If using). Place into air fryer (Don’t move around too much). ALLOW to sit for 5 minutes, to help moisten coating. I air fry 3-4 at a time. I press the Drumstick Button. Allow to run til it’s done. Flip over, hit Drumstick Button, BUT, only do it for 10 more minutes. Try our Air Fried Breaded Green Beans, same as above, just Green Beans! 2 Grilled Skewer Recipes. One is Asian Style. Other, is Tennessee Honey. Premix Brown Sugar and 5 Spice. Then, mix in Lime, Honey, then, Sesame Oil. Then, Soy and Hoisin. Mix. Add in Red Pepper Flakes and Garlic. SAVE, at least, 3T of Marinade for after cooking brushing!!! Marinade Chicken for Hours. Add Chicken to Skewers. Add to grill and grill. Once done cooking, brush on reserved Sauce. RESERVE 2T for later brushing! Add thawed Chicken and Marinade to Ziploc Bag. Marinade. Grill. Near end, brush on reserved Sauce. Cook Beef Ingredients, cooking down all juices. Add in Parm. Cheese. On Egg Wrapper, spread THIN line of Relish. Top with Beef Mixture, then, sprinkle with cheese. Then, top with 1-2T Coleslaw Mix. Wrap. You can use egg wash to fold it in place, but, I just use water, rubbed on with finger. Wrap. Butter Flavor Cooking Spray tops and bottoms of Egg Rolls. Brown each side of Egg Rolls. Sprinkle with Garlic Powder OR a lil of Garlic Salt (I use powder). Serve with a Side of Ketchup. Other cooking options: Egg Wash and Bake. Or Air Fryer. Also, I use A LOT of Mushroom in beefy meals to help cut meat down. Healthier and you wouldn’t know the better, if it’s cooked in with it. It helps. Absolutely Amazing! Using Beneficial Sweet Potatoes, Turkey Meat, and Air Fryer… These are BETTER than the more unhealthier versions! Brown and season meat with Basil, Oregano, and Pepper. Stir in Queso Cheese and Hormel Chili until desired consistency. Simmer a few minutes, stirring. Cut Fries to size desired. In ziploc mix mix Oil and HALF the fry Seasoning (Save rest for another meal). We use Air Fryer and cook. Lay Fries onto plate. Top with a little Shredded Cheese. Top with Meat/Cheesy Chili mixture. Top with a LITTLE more cheese. Then, Green Onions and Jalapenos. (Enjoy it with tTt’s Pico). 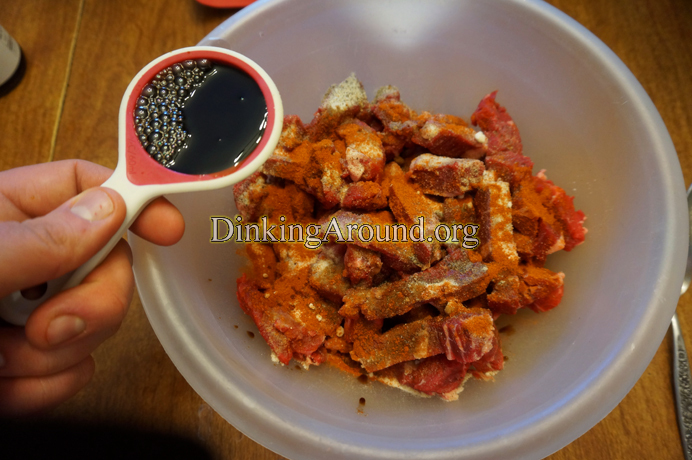 The Gyro Marinade is AMAZING! I loved school’s Butternut Squash, so I tried to copy it. I didn’t have Honey, so improvised with Maple Syrup and it was AMAZING! Soften Cream Cheese. Add everything. Stir well. Allow to cool. Spread onto Gyro. Cut and remove skin. Brush pan with Oil, toss around Butternut Squash to lightly coat. Season with Salt and Pepper. Toss, again. Cook uncovered, single layered, at 400 for about 40 minutes, or until soft. Mix with Sauce. Bake about 5 more minutes. Allow to set some to cool.